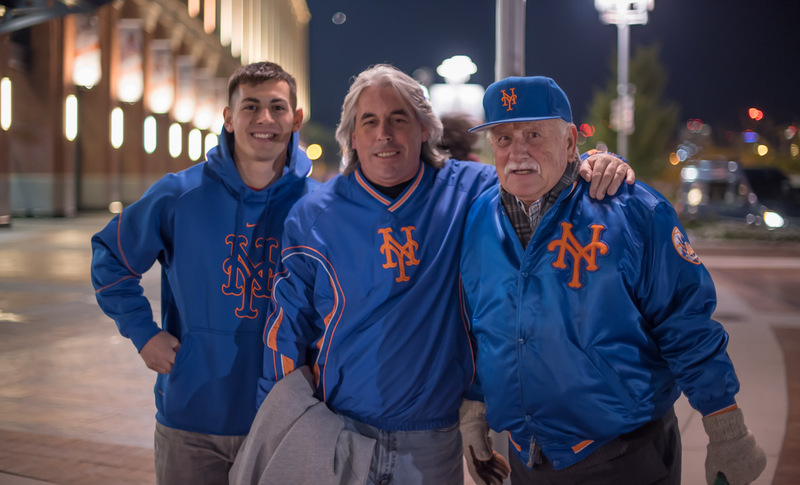 NEW YORK (WABC) -- Every fan has his or her own story about how they came to align their allegiance with a particular team. 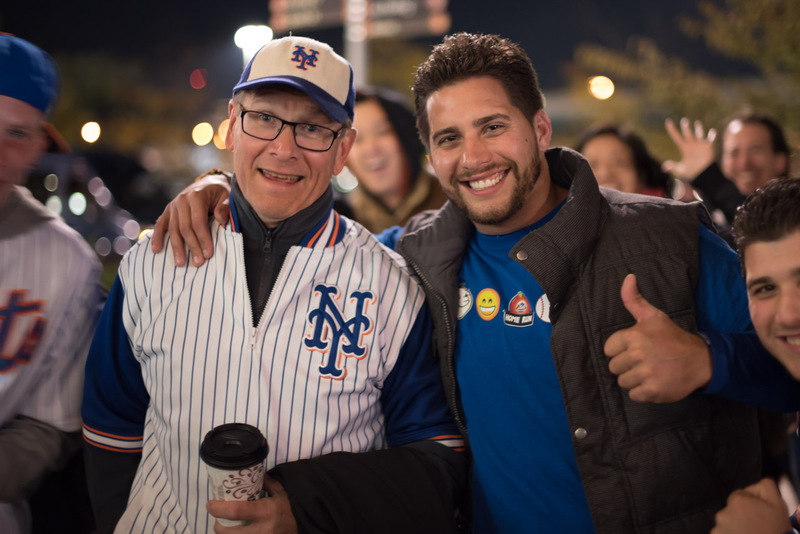 During this weekend's games, we sought out Mets fans at Citi Field to learn their stories about being at the NLCS game or just about being a New York Mets fan overall. Follow along with the images and stories below. Want to share your fan story? 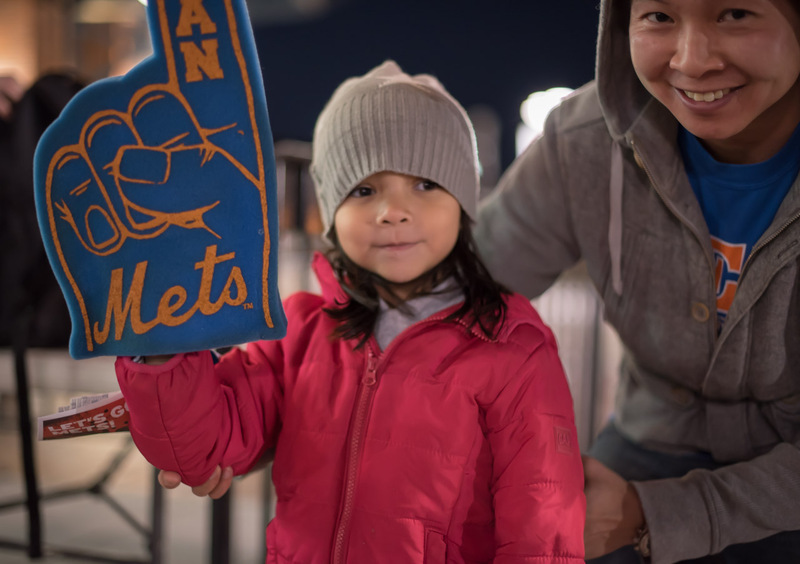 Share in in the comment section below or on our Facebook page or Instagram under the hashtag #metsfansstories and #abc7ny. "My excitement level is an 11 out of 10." "I came here with my father. He's never been to the stadium. 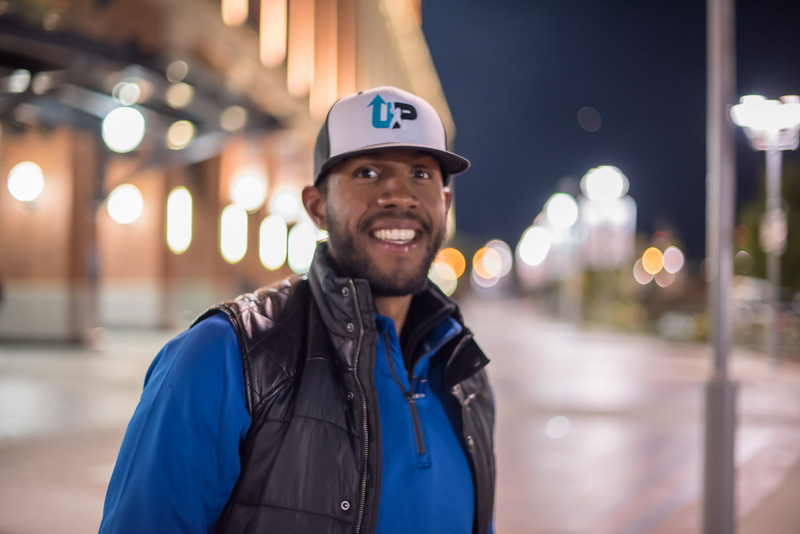 We're here to represent in the National League playoff championship, and we're going to rip it." 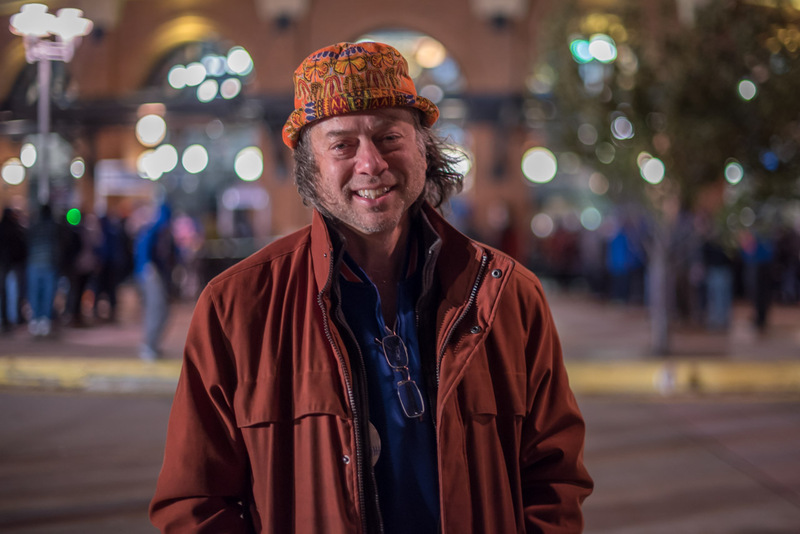 "It's electric for me because I put something out there in the atmosphere and they respond. They show me love and I show them love right back. Or vice versa. Haha." 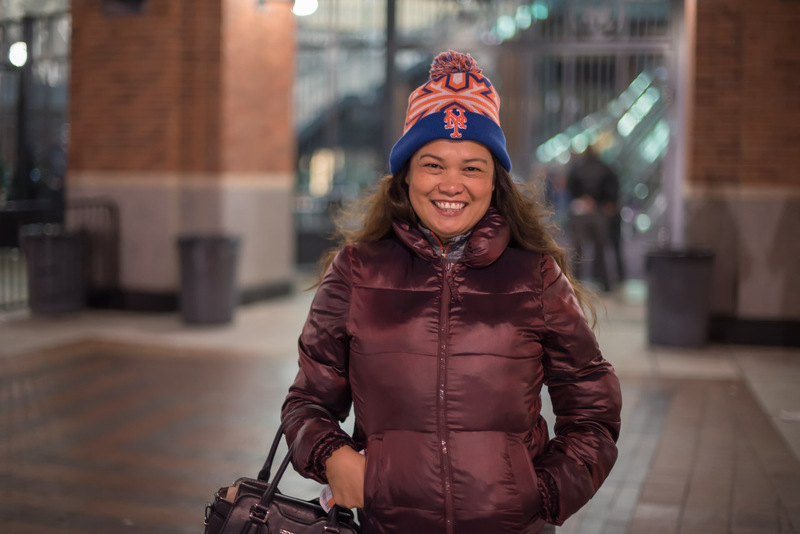 "My first Mets game was probably during the 1986 season with my parents, and I was 5. 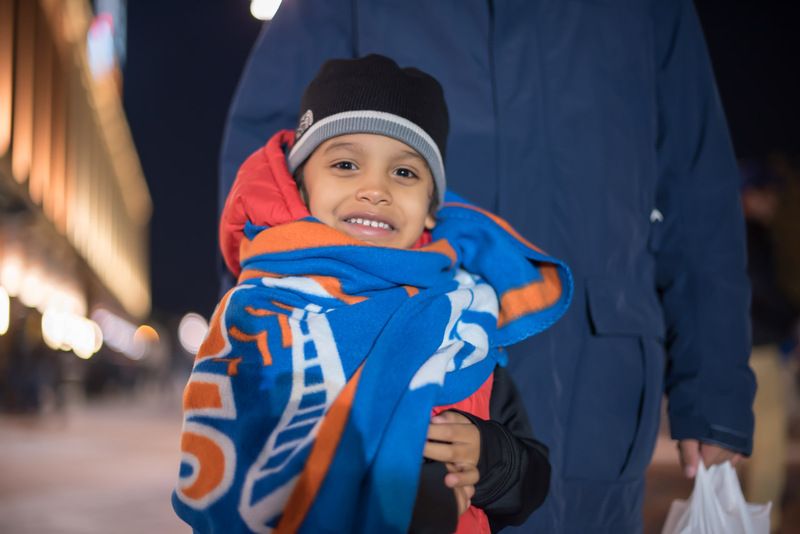 I'm bringing my 5-year-old daughter with me tonight so I hope that's a good sign." "We have three generations here -- grandfather, father, son. This is the first time the three of us are going to a game together. It's a pretty special day. We're late, so can we get going? Ha!" "Our dad has always loved the team, and we grew up with it. He passed away a while ago so we wanted to come to the first game of the playoffs for him and we're rooting them on. 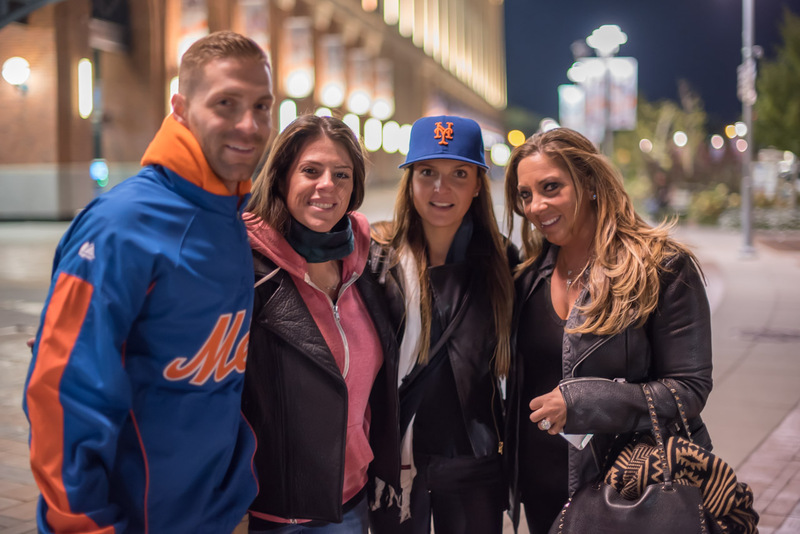 Go Mets!" 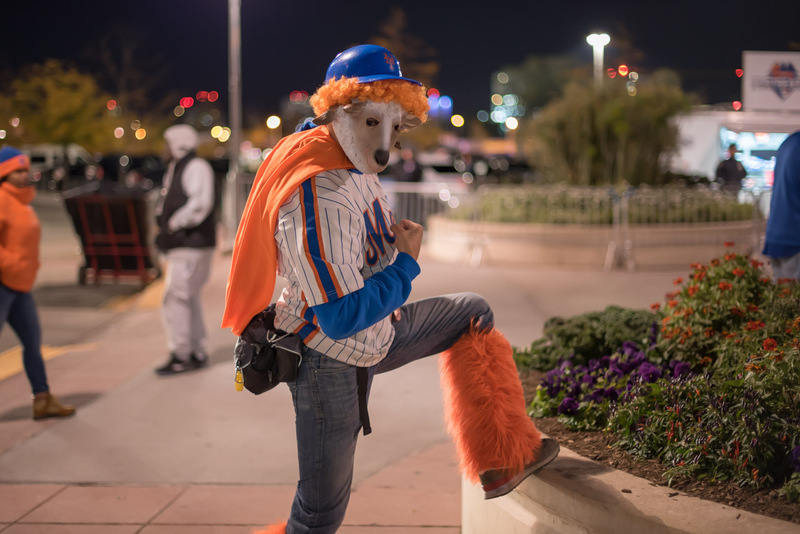 "I'm a long-suffering Met fan. I'm here, so I'm here. It's cold, but I'm ready. I'm in layers." "Oh man. I've been waiting for this for years. I was at the first round, I'm at this round and I can't wait until the World Series. We're going to be there." 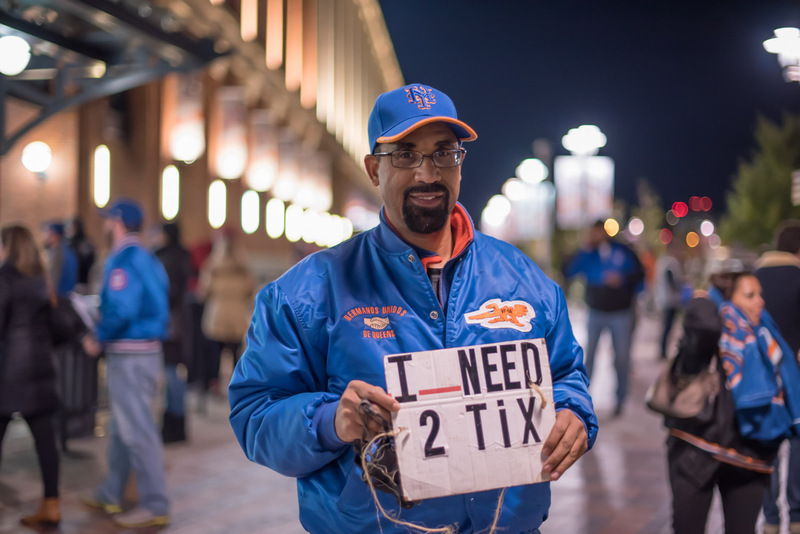 "I got a last minute ticket. I haven't seen this once in my entire life. I did once nine years ago and I had to be here. So I'm waiting for my buddy to get off the train, and it's going to be awesome tonight." What is your favorite part of the game? "The blue baseball." "I've been a fan for 40 years. Happy to be back, very excited for it and hope that we can take something." 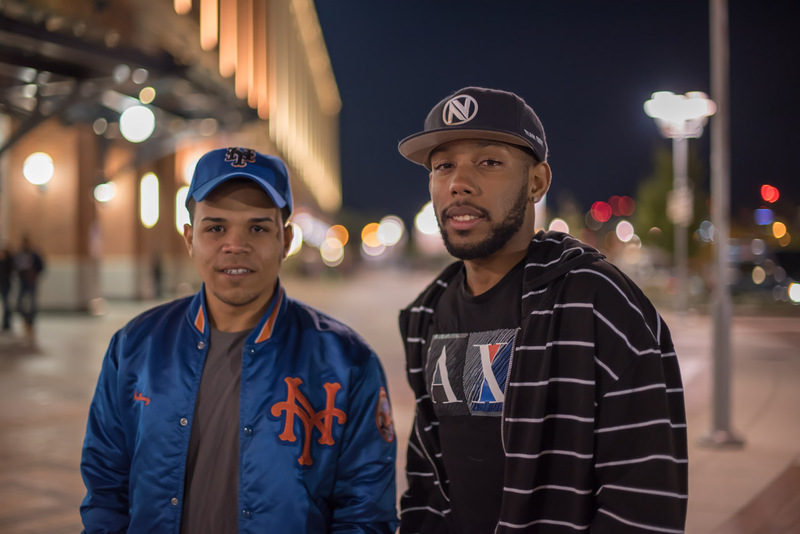 "We're born and raised in Corona, coming to see the Mets finish what they started." "It's the playoffs, hope we can win the next four games. Let's go Mets! Someone was waiting for me, because I'm late. I took the train instead of taking a cab, so I did a bad thing." 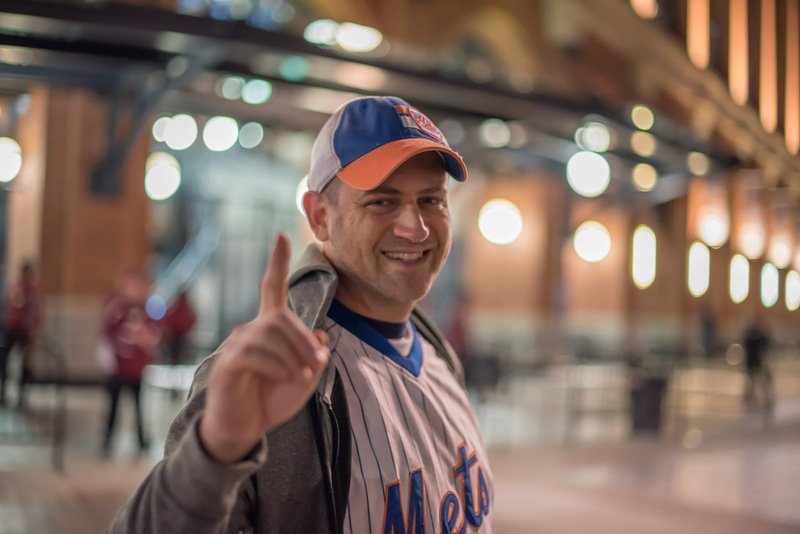 "I'm rooting for the Mets, but if the Mets had lost I'd root for the Cubs. I really would. 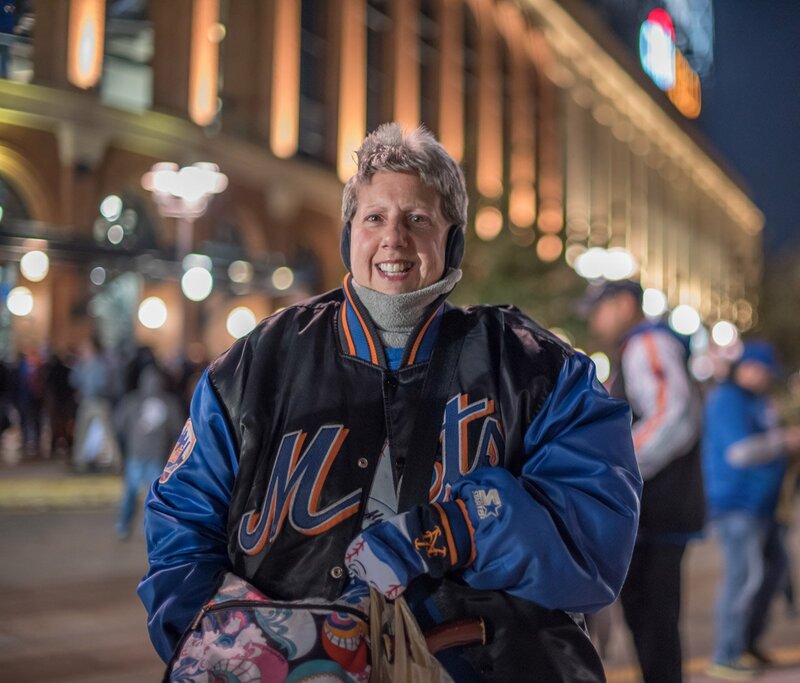 I've lived in Flushing my whole life and I'm a lifetime Met fan." 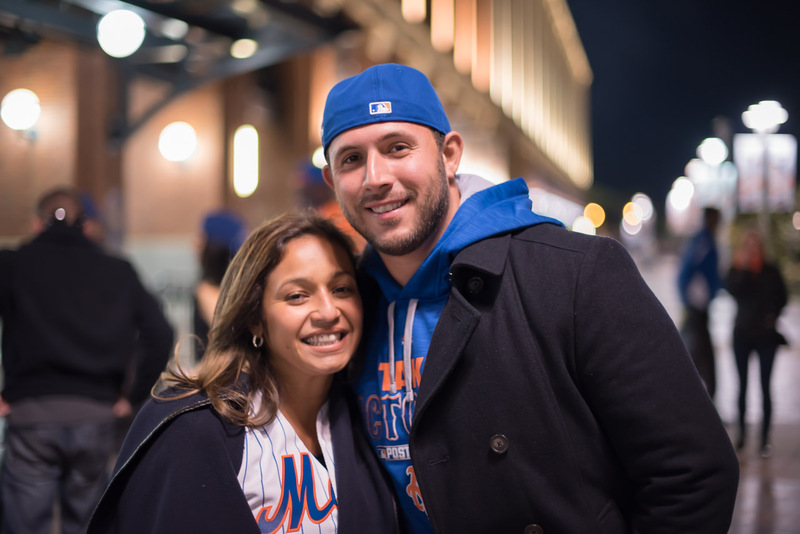 "I was here with a friend last week for the last home game. I was taking pictures of him with this sign and somebody came over and gave us two tickets for free. 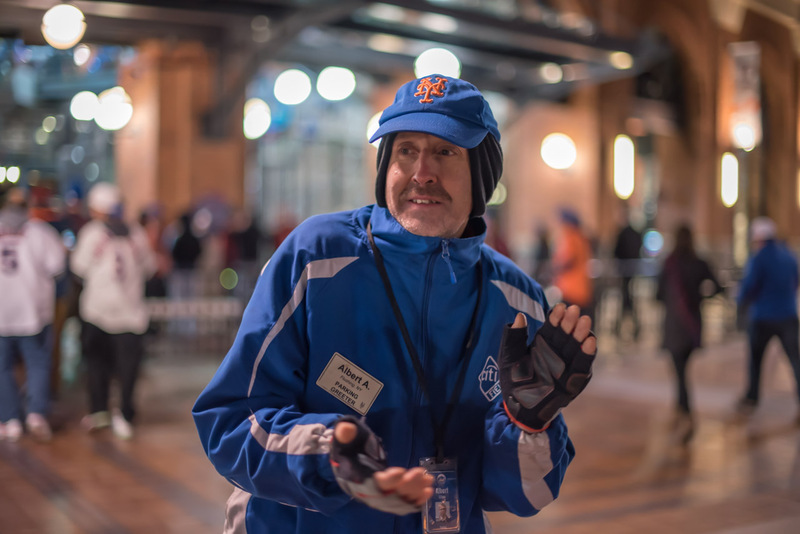 He said 'I'm looking to give out two tickets.' He said 'you have this sign,' so we took them and we were sitting in left field right in the last row in the last seats. We watched the whole ballgame. So I came back with this sign for luck to see if I get lucky again." Deirdre (left): "She calls me and gives me 20 minutes notice and is like 'you want to go the game?' Of course I want to go to the game. But I couldn't believe it. I'm trying to get a baby sitter and whatever, and she shows up at my house and is yelling at me that I'm not dressed." Maricela (right): "Because she deserves it. She's a hard-worker woman with the children. 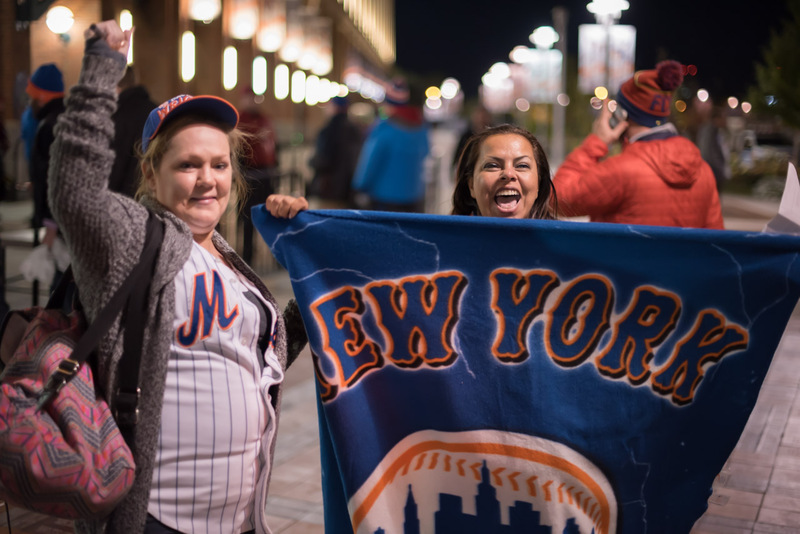 The blanket is her blanket, she's a die-hard fan." Dierdre (left): "My daughter's birthday was celebrated here on Oct. 3. There were 27 of us family members. It was great, after they clinched. It was blanket day." 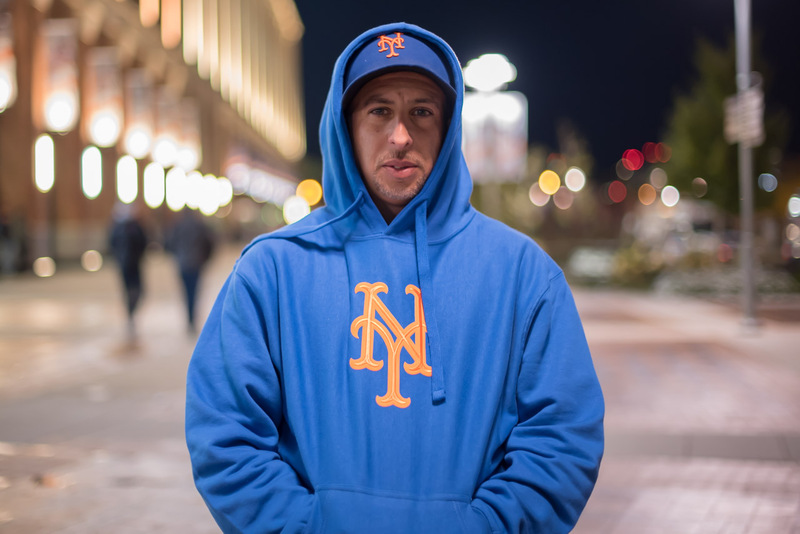 "I was 8 years old in 1986, the first year I went to see baseball. I haven't been back since." 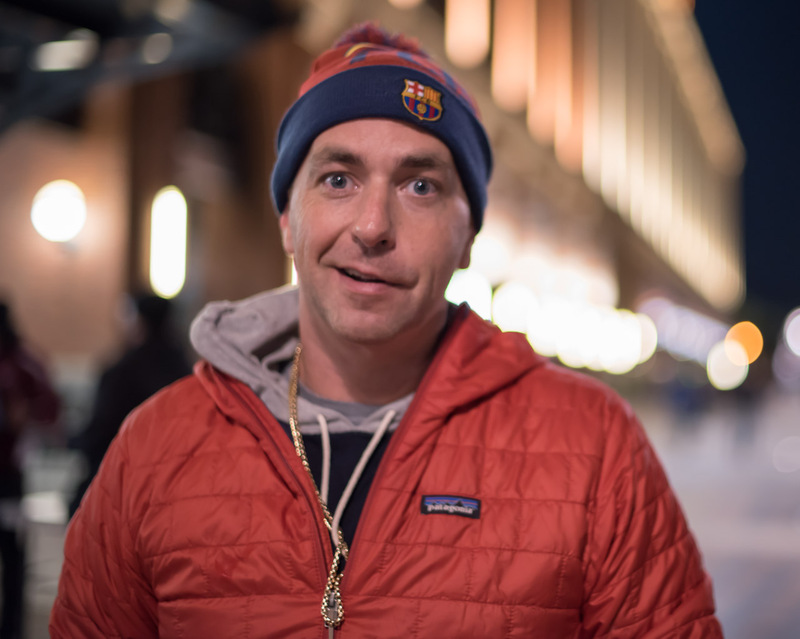 "I was going to McFadden's, but I just scalped a ticket." 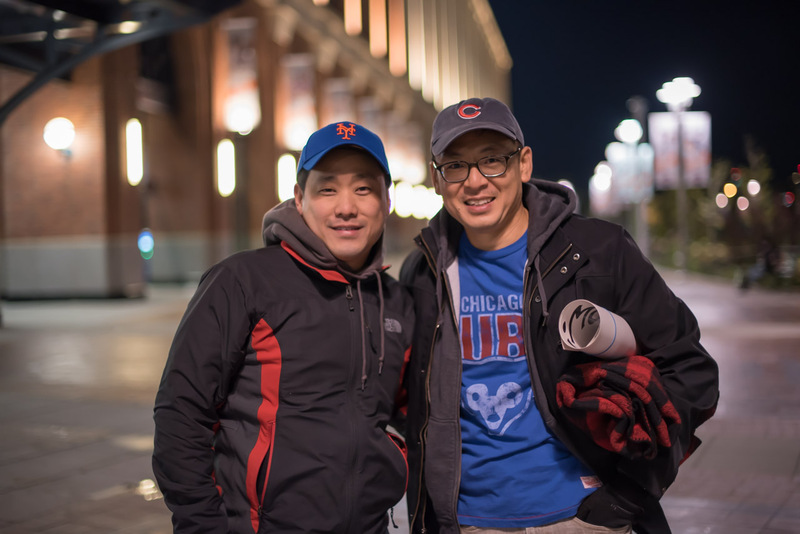 "My friend who is actually a Cubs fan hit me up with the idea of waiting until right after first pitch and getting really cheap tickets, and we got a pair of tickets for $75. So I'm waiting. He just printed them, and I'm waiting for him to show up so we can get in. 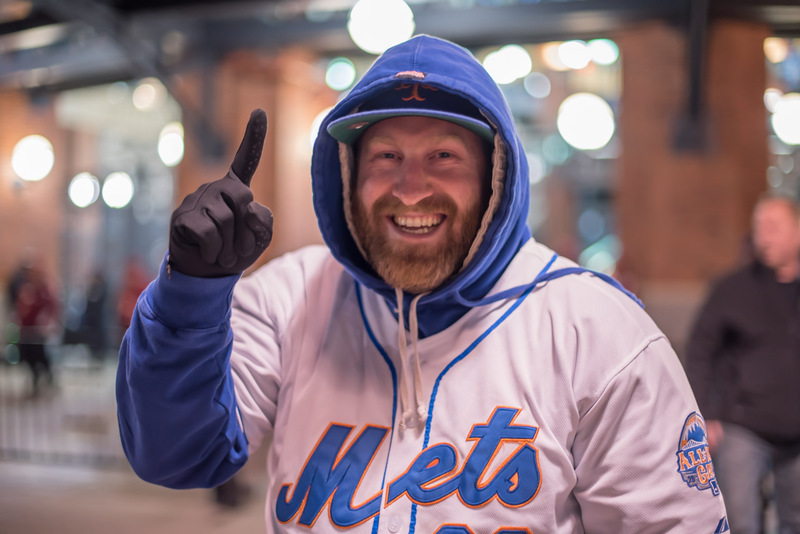 We missed Daniel Murphy's homer, but hopefully there will be more." 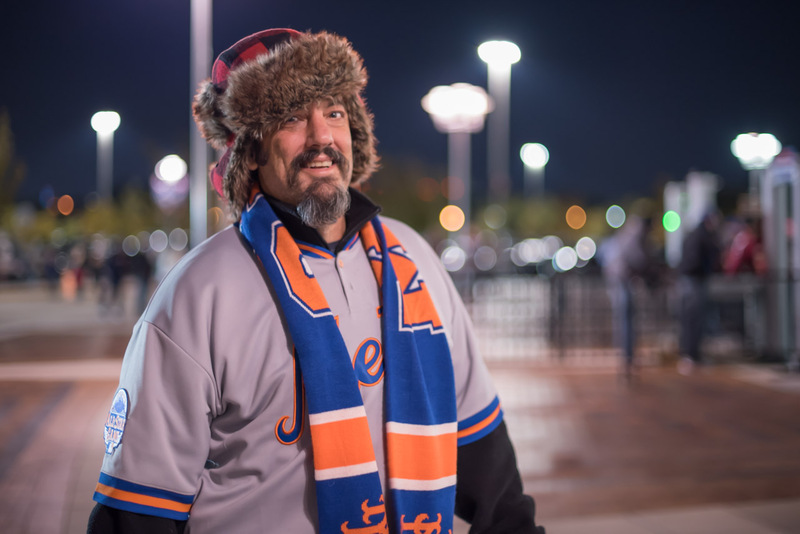 "I've been a Met fan since I was 3 years old. This is a costume of the billy goat. The billy goat is actually named Murphy, and Murphy the goat is the reason why the Cubs have not won anything in 108 years. 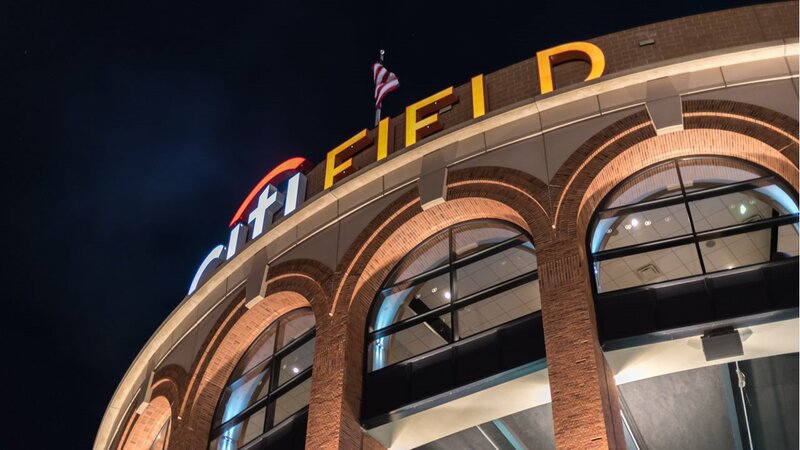 We are going to continue the curse tonight at CitiField and for the next seven days. The Mets are taking it all." "I just came with the billy goat. It's tons of fun. 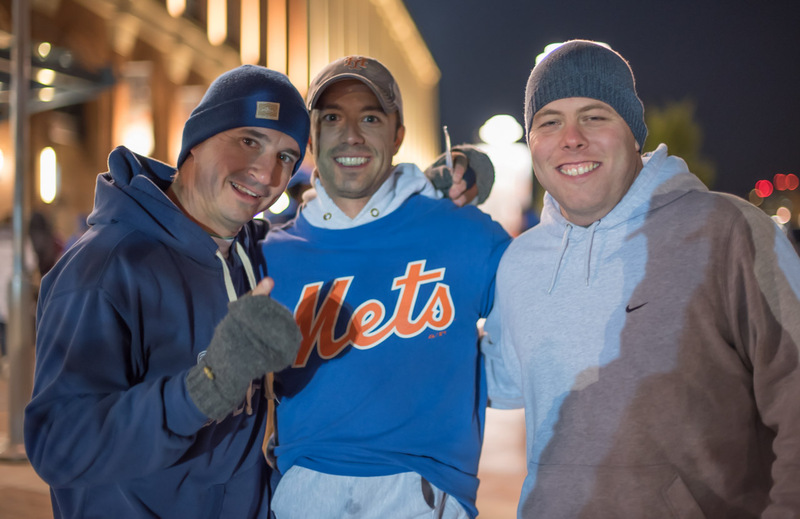 We've been to every home game, and we're going to go to every home game until we win the World Series. I'm a Queens native. My dad took me as a kid. Every body in my family is a Yankee fan. I'm the only Met fan. Out of two brothers, one dad, it's not bad at all, actually. I'm close to the stadium. They have to go to the Bronx. 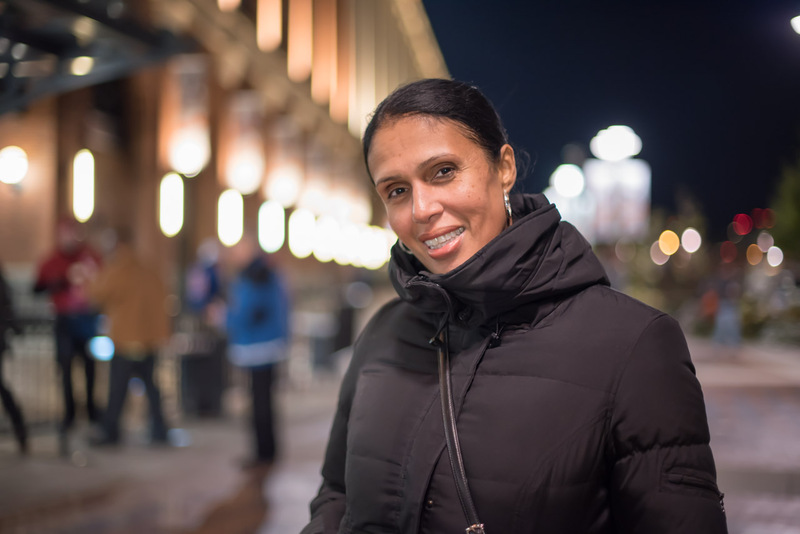 My dad brought me here to the playoffs when I was a kid, and I've been a fan ever since." "We bought the tickets today and we're excited that they're in the playoffs." "We're huge die-hard fans. We have to get inside." 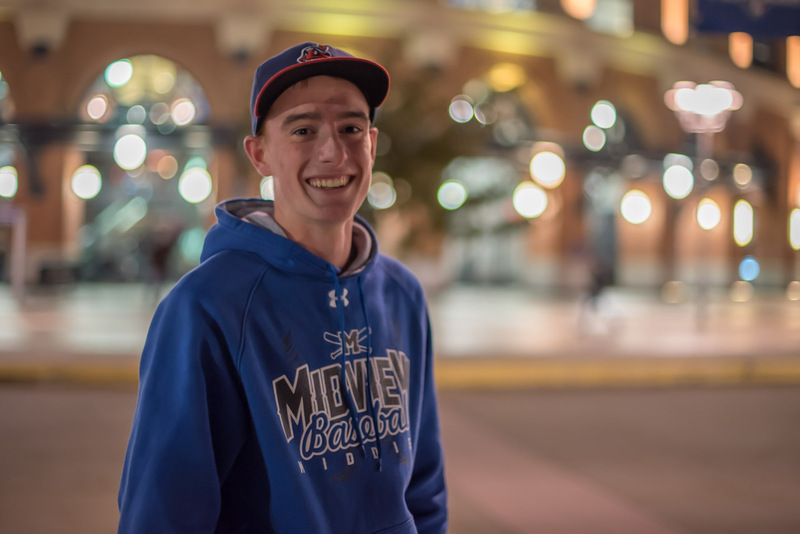 "I've been to every game, and I'm going to keep coming as long as they make it to the series." 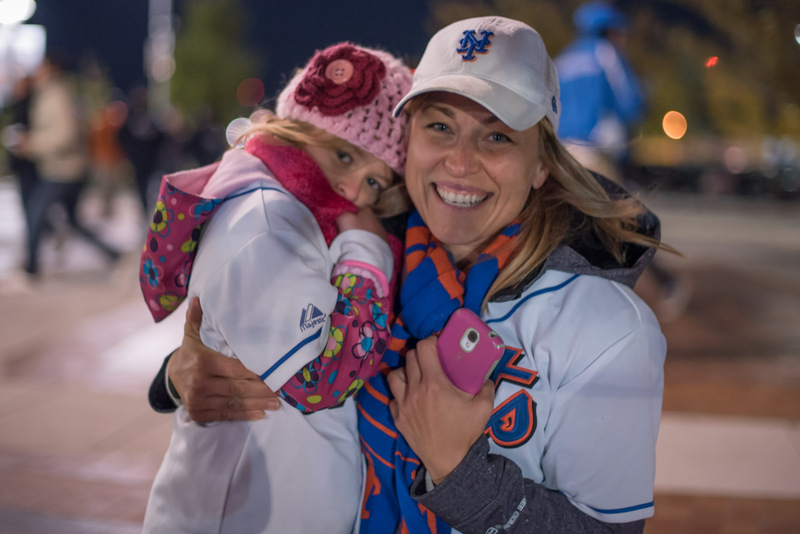 "This is her second game, her second Harvey game, and she wanted to come by. We got some tickets last-minute and we're about to go enjoy the game. 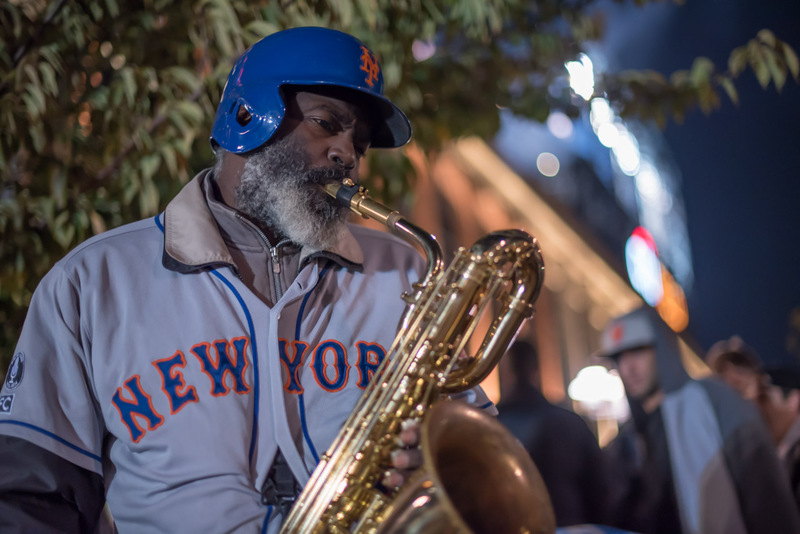 Let's go Mets!" 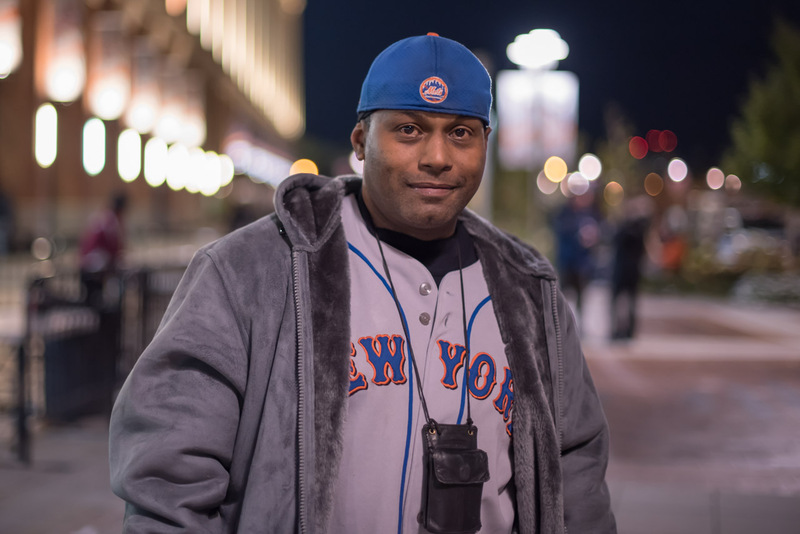 "I'm training for an academy in uptown Manhattan called the Bulldog Ball Club and I got invited to the game today." "We got last-minute tickets, jumped in the car and hit some traffic, but we're here. So we're ready to enjoy the game." 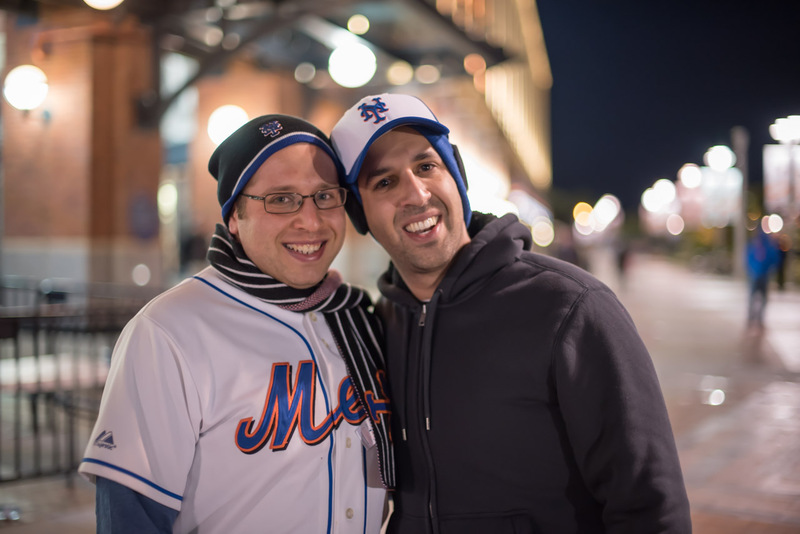 "He's from Chicago, he's my brother-in-law, and I've been a Mets fan forever. We got lucky. A random cousin of ours had some extra tickets. We've been talking about going to the game and he just called us out of the blue as we were speaking about it, and literally got the tickets yesterday." "They're going to be the winners! The World Series champions. I love them." 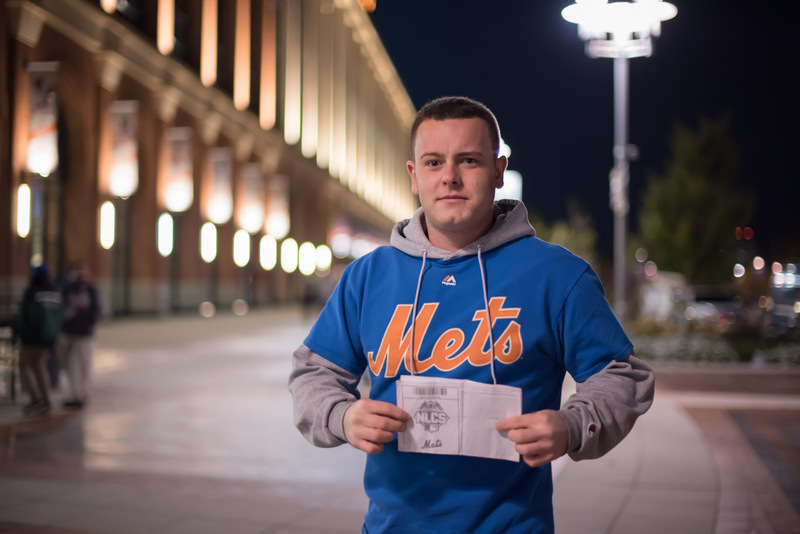 "It was last minute, I'm a huge Mets fan. It's been how many years now? Since I was six, so I had to come out. We're going to try to get gear inside, like a hoodie or something. We didn't expect it to be this cold." 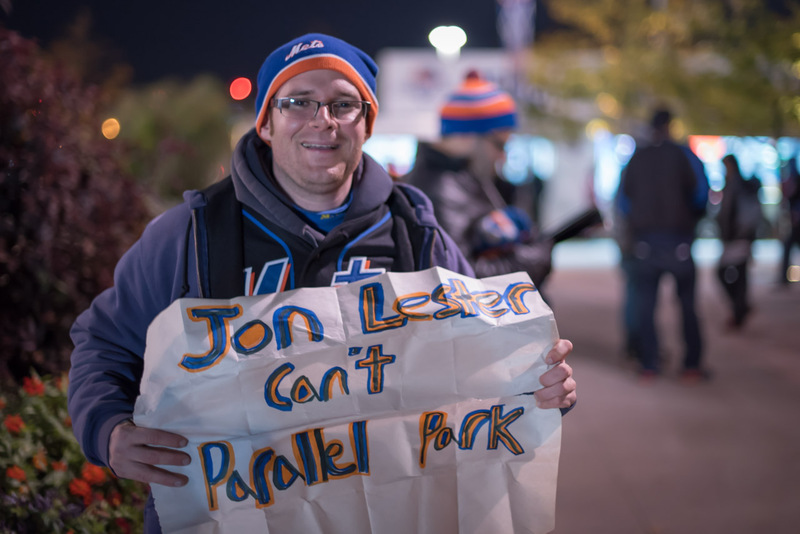 I'm just taking pictures outside of CitiField, not going in. We're just visiting New York and had to see it. It's pretty awesome. It's postseason baseball." 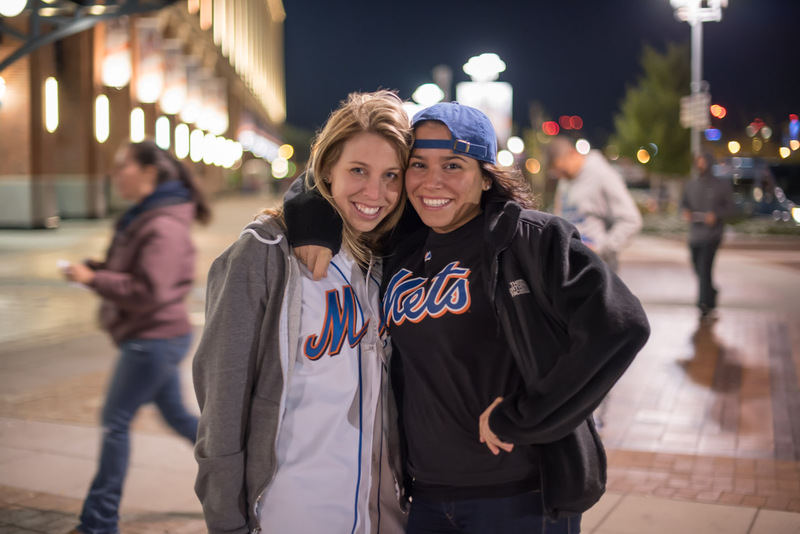 What's your Mets fan story? Tell us in the comment section below.